FALCON "LS3/5a STYLE" MINI-MONITOR S FULL KIT C/W DRIVE UNITS & UPRATED Falcon 106aB CROSSOVERS - all parts required to make 2 complete speakers. The Baltic Ply cabinets are precision cut and made in Great Britain to BBC LS3/5a Specification. Please select if Falcon 106 aB crossover pre-assembly is required from the drop-down menu. The Falcon 106aB Crossovers come in kit form or ready assembled, using Solen Polypropylene capacitors throughout. All components are individually selected to maximum 5% tolerance and all capacitors are measured and pair matched. 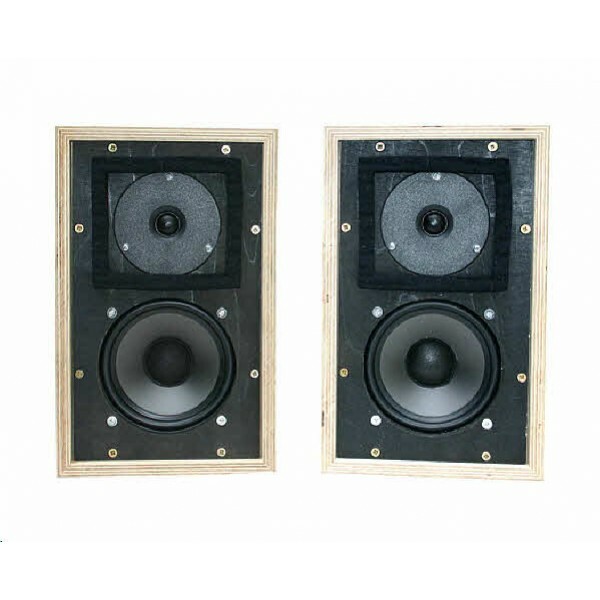 The bass section uses the 11 ohm LS3/5a section with uprated inductors and is modified for use with the Monacor woofer, together with a classic aB HF section specially designed by Falcon for the Scanspeak tweeter and successfully used over many years. Selectable HF attenuation if required is provided by post-aB section resistive attenuation for maximum quality. 1 pr. LS3/5a style cabinet kits, 2 specially prepared Monacor Bass units, 2 Scanspeak tweeters, 2 Falcon 106aB crossovers ( kit or assembled), 2 Falcon terminal sets, 1 set ( 4 sheets differing thickness as per BBC LS3/5a specification) LS3/5a Acoustic Damping Foam, black acoustically transparent grille cloth, 2m 6mm & 2m 9mm LS3/5a-type baffle sealing strip, 5 sheets of Dedshete, 1m Velcro, 1m tweeter felt strips to BBC specification, 2 drive unit mounting bolt sets and 2m coded 079/.2 OFC cable. The cabinet kit is designed and pre-drilled for the Monacor and ScanSpeak drive units. Each section is hand-finished by British craftsman. Easy to assemble with precision-cut rebated corners, does not require specialist assembly tools. All you will need is PVA glue, drill, Posidrive screw-driver and some masking tape. A staple gun is helpful. Made in 12mm and 9.5mm graded Baltic Birch ply with 5 layer birch ply grille. 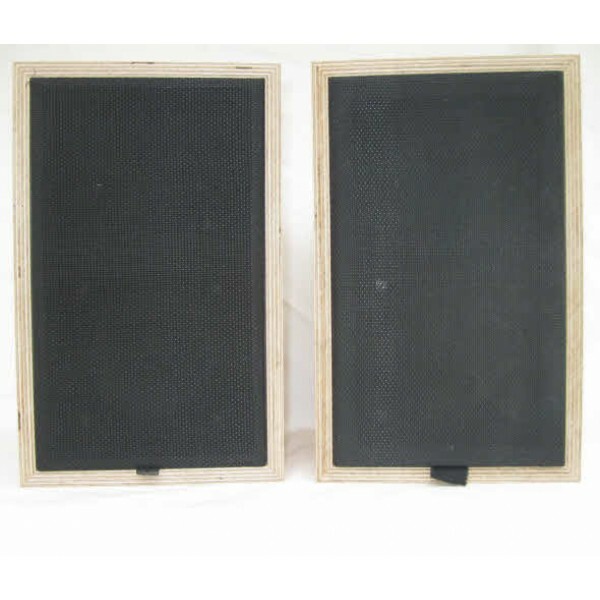 Beech battens all supplied, chamfered front batten edge sections for easy woofer mounting. All holes countersunk for nuts bolts and screws. Full instructions supplied. Designed for finishing with veneer or spray painting after final sanding/preparation. Pictures show assembled kits, supplied un-assembled. These quality cabinet kits are only supplied in pairs c/w crossovers and drive units.